Grapple is in stock. Ready for immediate shipment. Manufacturer: Young Corporation Model: L0100C Capacity: 1 cubic yard Weight: 3900 pounds Features include one remanufactured grapple less hydraulic rotation motor and drive gear; unit has been completely rebuilt; cylinders have new packing; new hoses, pins, bushings and keeper plates. Call 330-747-2639 and ask for Chip. How does a lifting magnet work? Potato. Potatoe. 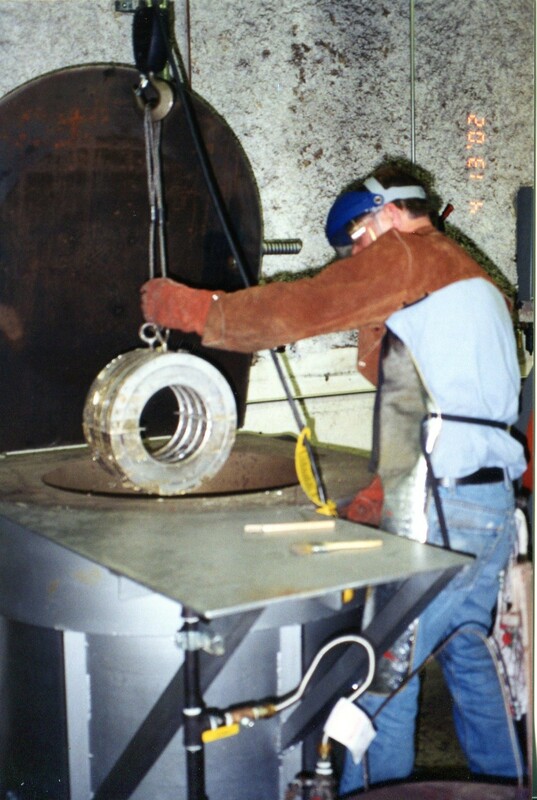 Centrifugal castings. Babbitt Bearings. Pop Quiz: What are centrifugal castings? How do you make a Babbitt bearing?